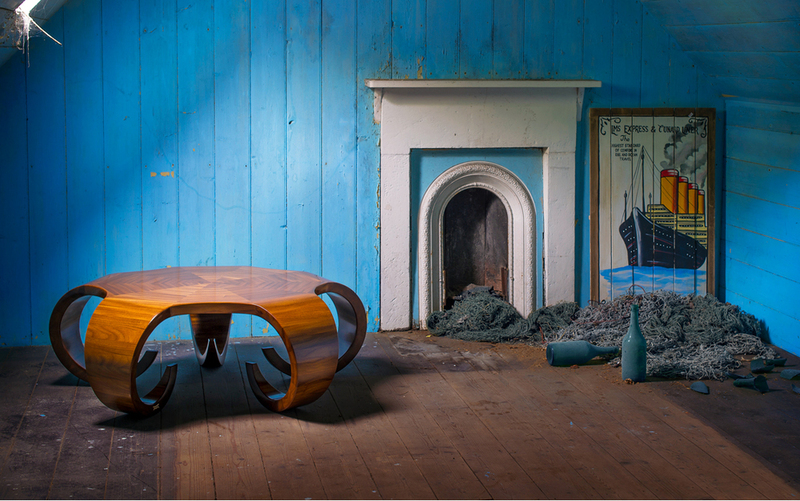 ‘The Bruce’ is a combination of 140 pieces of old growth Burmese teak. From her home, to an ocean going ship, she once was handrails that travelled the world, touched by thousands of souls, before being brought back ashore to wait in anticipation for her next chapter. She was then traded from one person to another and then to me. Now that I have lovingly shaped her anew, I wonder where her next story will begin? spider provided the inspiration to craft this intricately woven 140 piece creation. This table is an architectural achievement in itself. With generous curves and a deep, rich, finish, this low table will provide aunique focal point in any space.